Mrs. Julie Ann White is the former Fine Arts Coordinator for the Owensboro Public Schools where she served as curriculum specialist and consultant for their music, art, drama and dance programs and curriculum K-12. She graduated with high honors from the University of Montana where she studied piano, percussion and voice. 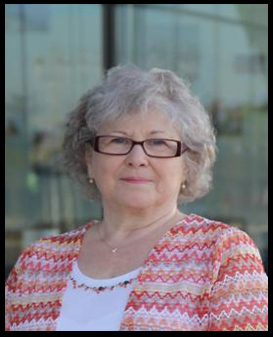 She has also founded and directed treble choirs since 1972 which include the Knollwood Children’s Chorus (Atlanta, Georgia) The Brescia Boy Choir, The Sutton Singers, The City Singers and the Owensboro Center Chorus and the Kentucky Youth Chorale. Mrs. White was selected the 1988 Owensboro Public School Teacher of the Year and in 1993 she was honored as the KMEA Elementary Music Teacher of the Year. She has received the Ashland Oil Teacher Achievement Award and the Owensboro Mayor’s Award for Excellence. She has served on the Kentucky Department of Education Task Force to revise and assess Kentucky’s music curriculum and has also worked for the Kentucky Arts Council. She has served on the Kentucky Arts Advisory Council. She is the 2007-2008 recipient of the highly coveted Governor’s Award for the Arts in Education. Mrs. White conducts district choral festivals throughout Kentucky. She currently directs the Kentucky Youth Chorale. For more information, please contact Julie or James Douglas White, Artistic Director at 270-929-1226. Joyce Goodwin grew up in Minnesota in a musical family of seven children. Her mother was her first piano teacher and her experience as a choir accompanist and church pianist began in junior high. She received Bachelor’s degrees from Pillsbury Bible College and Mankato State University in Minnesota, and a Master’s degree in piano performance from Bob Jones University in South Carolina. Joyce has taught in three Bible colleges. In addition to having a studio in which she teaches students of all ages and levels, she is organist at First Baptist Church. Pam Howell is the music specialist at Highland Elementary School in the Daviess County Public School System where she has taught for 21 years. She founded and directs the Highland Choir and Percussion Ensemble which are featured in the school’s signature Renaissance Faire. She formerly taught in Owensboro Public System and Warrick County School System. Pam serves as music director at Eaton Memorial Baptist Church. She has directed adult, youth and children’s choirs at the church and serves as worship planner. She also serves as Vacation Bible School Director, Sunday School Teacher, and Church Council Member. 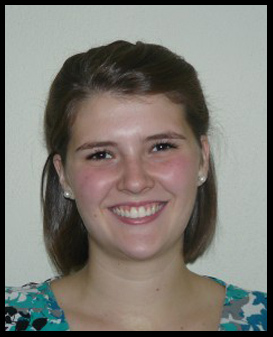 Ms. Howell graduated from Kentucky Wesleyan College with a Bachelor in Music Education. She completed her Masters in Music Education and Rank One in Elementary Counseling from Western Kentucky University. 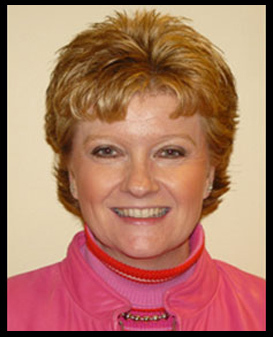 Pam was selected as the Kentucky Music Educators’ Elementary Music Teacher of the Year for District Two in 2001-2002 and again in 2003-2004. She also received the Campbellsville University Excellence in Teaching Award in 2003. Pam was recognized as Highland Elementary Teacher of the Year for 2013-2014. Pam has also served as District Two Elementary Chairperson where she organized the Elementary All-District Choral Festival. She has represented the DCPS on the Riverpark Arts Advisory Board and has served as an Artist-in-Residence of the Riverpark’s Summer Arts Camp. As an assistant for the Kentucky Youth Chorale since its inception, Pam serves in many different capacities; working with singers on vocal technique, ear training and sight-singing. 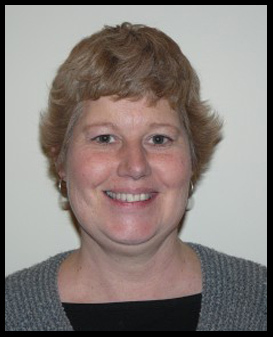 Pam assists the choir with organizational planning, mentoring and co-directing. She is one of many supporters for this extraordinary group. She presently directs the preparatory choir. Anna Sparks began piano studies when she was six years old and was accompanying school choirs by seventh grade. During high school, she began performing in and accompanying musicals through school and community theater productions. She earned a Bachelor of Music Education degree from Morehead State University in 1988. While in college she studied piano, voice, harpsichord, and pipe organ. She also received her Masters Degree and Rank I in Secondary Counseling at MSU. Anna’s teaching career began in Martinsville, Indiana in 1989 where she taught middle school vocal and general music. Since moving to Kentucky in 1992, she has taught music at Rowan County Middle School, Morgan County Middle and High Schools, where she established a choral program at the high school and served as assistant band director, and Boyd County High School where she was choral director/assistant band director. In each school, her choirs and individual students have received accolades on both the district and state levels. Anna has been the elementary music specialist at Tamarack Elementary School in Owensboro since 2008. In 2011, she founded the Singing Stars choir for 4th and 5th grade students. In their first year, the group was invited to perform for the Alma Randolph fundraiser and the Martin Luther King community celebration. Anna is the 2013-2014 recipient of the KMEA Second District Elementary School Teacher of the Year award. Madison Wells is a music specialist at Cravens Elementary School. Originally from Midland, North Carolina, Madison has made Owensboro her home and enjoys the community’s support for the fine arts! Last year, Madison was an intern for the Kentucky Youth Chorale and is very excited to be a member of the staff. As a young child, she recognized her passion for choral music and now enjoys sharing a love of music with her students. Madison holds a Bachelor of Music Education Degree from Kentucky Wesleyan College, where she was a member of the Kentucky Wesleyan Singers and Chamber Singers. 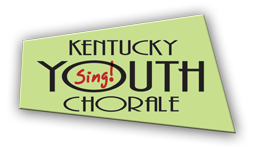 In past years, Scott Dixon has accompanied the Kentucky Youth Chorale. He began playing piano by ear at the age of four and by five was excelling in his private piano lessons. Scott has accompanied numerous honors choirs for state conventions and the Midwest Conference. Scott is well esteemed in choral music community as a fine pianist and a supporter of choral conductors across the nation. His business, Octavo Corporation, has received the KMEA Friend of Music Award. Visit www.octavomusic.com for more details. Carol was born and raised in Owensboro, KY. She attended OHS and was in the marching band, pep band and orchestra from 1958 to 1963. Carol was one of two alto saxophones in the 1963 All State Band. She believes music is an integral part of every child’s life and every child should have an opportunity to explore their hearts talents. Carol was employed by the City of Owensboro for 20 years in the IS Department and fulfilled duties including computer operations, secretary and instructor for computer software. After retiring she joined the Owensboro Public Schools as secretary for the Department of Instruction, where she met and worked with Julie White. After retiring from this position she joined the Kentucky Youth Chorale as Secretary. Music has been a love of Carol’s her entire life. Helping in any small way with the Choir has been a joy. James moved to Owensboro in 1975 as professor of music at Brescia University & Concertmaster of the Owensboro Symphony Orchestra. During his twelve seasons with the orchestra he was guest soloist seven times. James has soloed with the Nashville Symphony, the Twin Cities Symphony and the Missoula Civic Orchestra. He has given countless recitals throughout the US, France and the Caribbean. He performed as solo violinist with the National Youth Choirs at Carnegie Hall in 1999. Other orchestral experience includes the Oakland Symphony, the Atlanta Symphony and the San Francisco Ballet Orchestra. While teaching violin and conducting the orchestra at the University of Montana, Robert Shaw enlisted James to be Apprentice Conductor and first violinist in the Atlanta Symphony where he also conducted the Atlanta Sinfonietta and the Atlanta Youth Orchestra. Guest conducting appearances include the Memphis Symphony, the Nashville Symphony, the Twin Cities Orchestra, the Missoula Civic Symphony, the Portland Junior Symphony and members of the Louisville Orchestra. He is past conductor of orchestras at Brevard Music Center, the Owensboro Symphony Youth Orchestra and the Louisville Youth Orchestra. 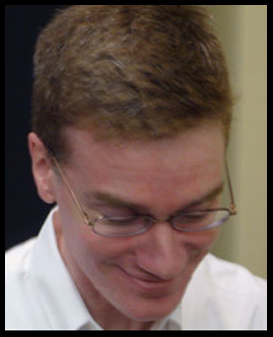 He has taught at the Kentucky Governor’s School for the Arts and conducted All-State Orchestras. In 1990, James received a formal invitation from the Soviet Composers Union to conduct and perform in many republics of the former Soviet Union. He was commissioned by them to premier a new work, The Peace Symphony, which was nationally televised and recorded for radio. In 1993, the Owensboro Symphony gave the US premiere of this work. The Owensboro Symphony also performed his Overture Before Summer at the ’83 Maple Mount Pops concert and have since performed several other works at RiverPark Center on their subscription concert season and Holiday Pops concerts. James has received many commendations during his tenure in Kentucky. In 1987 he was awarded the Outstanding Kentuckian award and in 1995 he received a special Citation for Excellence from the Governor. He is a Kentucky Colonel, a Rotarian and an alumnus of Leadership Owensboro. The Alma-Alta Conservatory conferred upon him the Honorary Degree of Doctor of Music and Highest Professor status during his concert tour in Kazakhstan. He has received the prestigious 25 year award for String Teaching Excellence from the Kentucky American String Teachers Association and the 25 year service award from the Kentucky Music Educators. 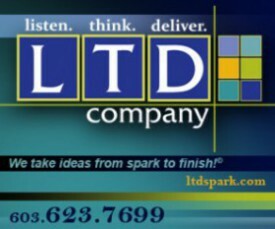 He received the Owensboro Mayor’s Award for Excellence in 1996. 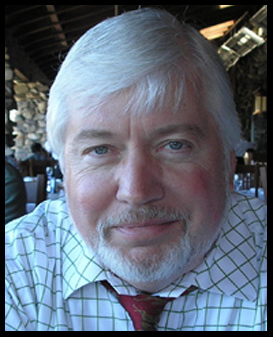 Through his many activities and tireless devotion to the Institute for Young Musicians, White continues his deep interest and leadership in developing the musical talents of young musicians.